In the late 1960s, a serial killer operated in Northern California for 10 months, sending a series of confessional letters to police and the press until 1974. These letters were signed ‘Zodiac’ and also included symbols and four intriguing ciphers (codes), three of which have never been solved. A 35 year old woman is brutally stabbed. In Miami Police must solve a gang related drive-by shooting. Whilst the Zodiac letters eventually claimed responsibility for a total of 37 murders, police investigators generally accepted only seven Zodiac victims, two of whom survived. Following investigation, police added a further five crimes, between 1963 and 1970 to the suspected Zodiac victims list. Over 2,500 potential suspects were investigated and a few stood out, but forensic technology of the time was not yet advanced enough to accuse them conclusively. The case of the Zodiac Killer was never solved and remains open. 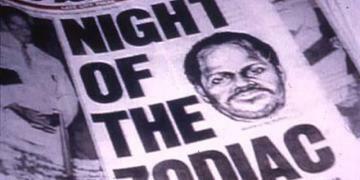 In 1990, Zodiac murders started again, this time in New York City. Was it the same man or a copycat serial killer?